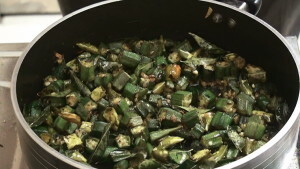 Initially heat the traditional pan, add the lady’s finger and fry it properly with out oil for atleast 2 to 3 minutes in low flame. 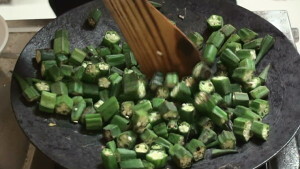 In order to lose the sticky character of okra we do fry in this way. 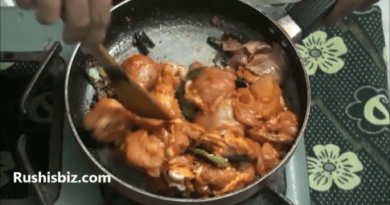 Now heat the pan in high flame and add the sufficient oil. 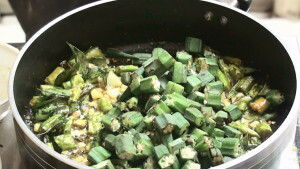 Once the oil is heated put the stove in low flame, add mustard seeds and cumin seeds for tempering. 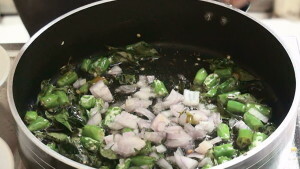 Once the tempering is done add curry leaves, green chili and onions, try to allow them to fry for atleast 2 minutes in low flame. 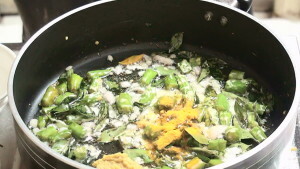 After completion of two minutes, once every thing is fried and become soft, add turmeric powder and ginger garlic paste. Spread the paste evenly and nicely, the reason for adding the turmeric powder is simply because it just checks the bacteria if there are any. 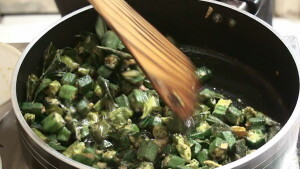 So allow for one or two minutes in low flame. 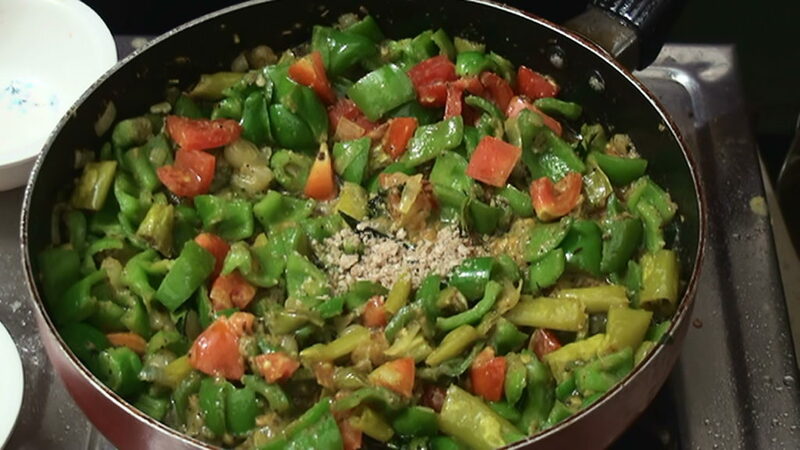 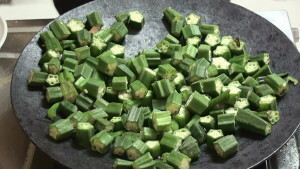 After completion of one or two minutes add okra pieces and sufficient salt. 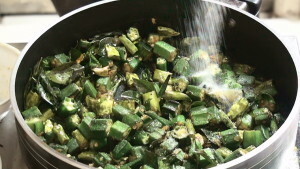 Mix them thoroughly so that every thing should become oily and flavor of the salt should reach the every corner of okra pieces which helps the pieces to become more tastier. 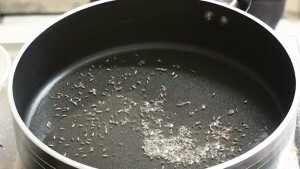 Now allow for atleast 3 minutes in low flame. 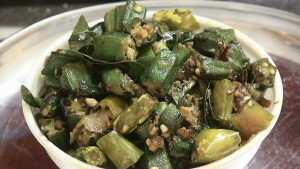 So after completion of final 3 minutes making of hot and delicious okra fry will be absolutely ready for serving. 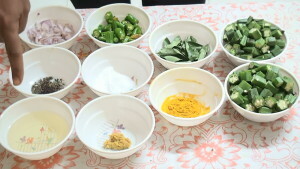 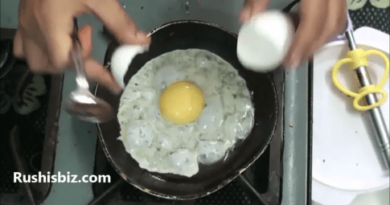 This is the fry which can be used mostly for chapathis or rotis.